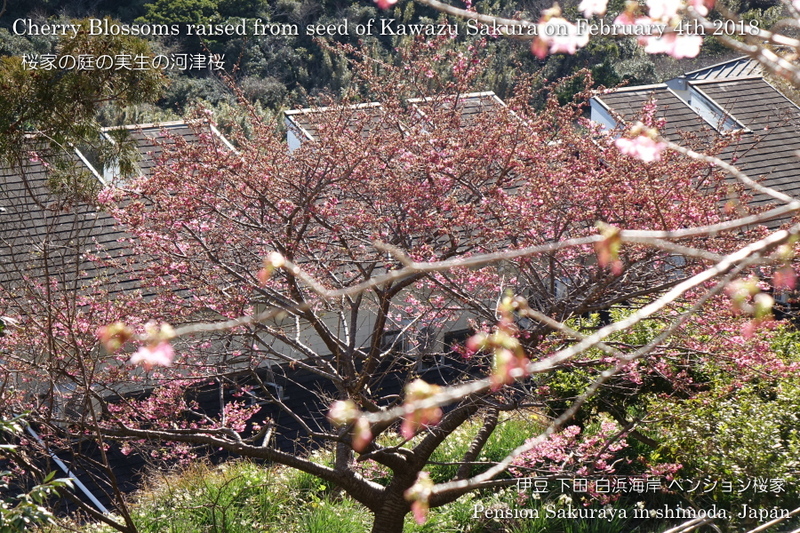 Sakura tree in our garden which was raised from seed of Kawazu Sakura is now blooming about 30%. 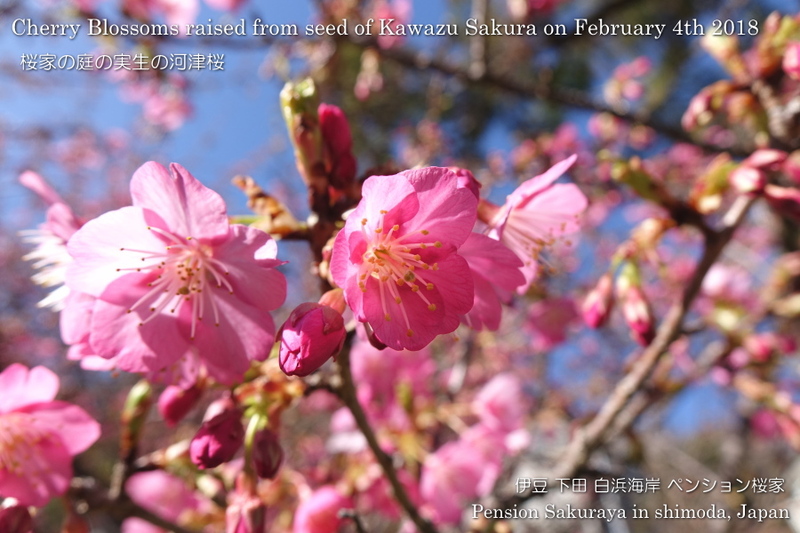 This place is sunny and we don’t have wind from the sea, so this tree blooms earlier than the other Sakura. 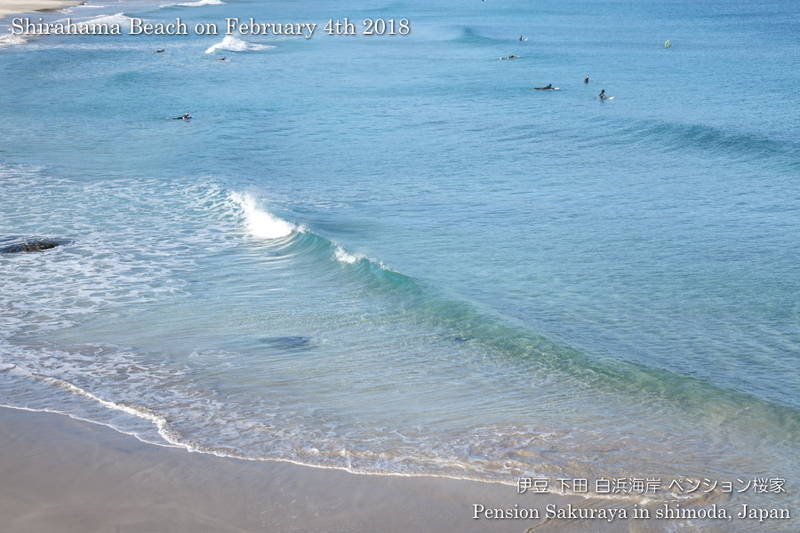 We had the storm with heavy rain and strong wind last night, but the blue sky came back here in Shirahama again today. 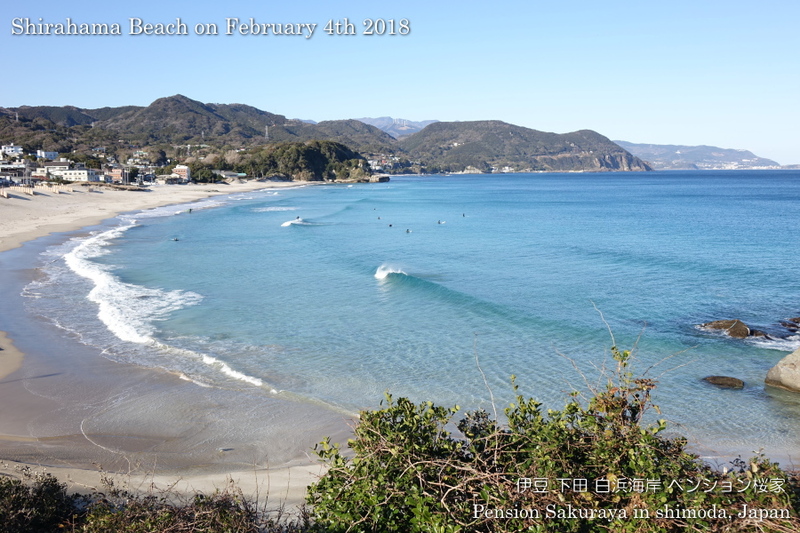 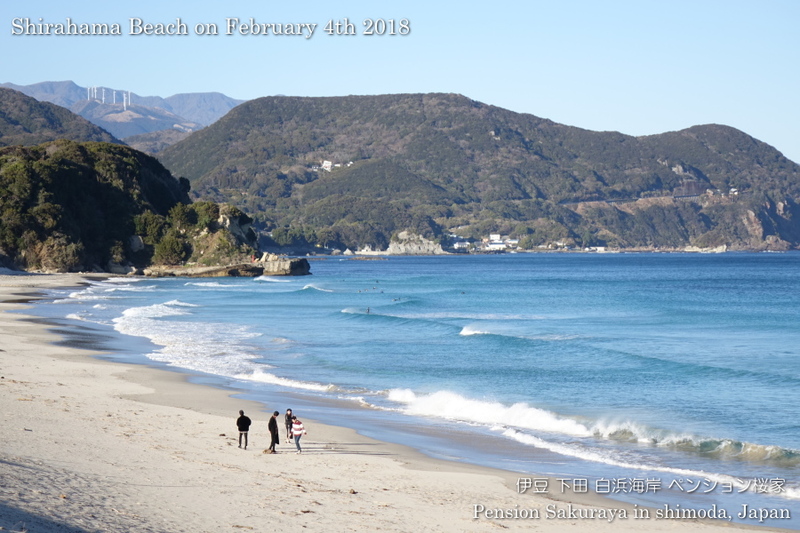 This entry was posted in beach, Flower on 2019年2月4日 by izusakuraya.